Prosser Funeral Home will guide your family in creating a meaningful ceremony to honor the life and memory of a loved one. 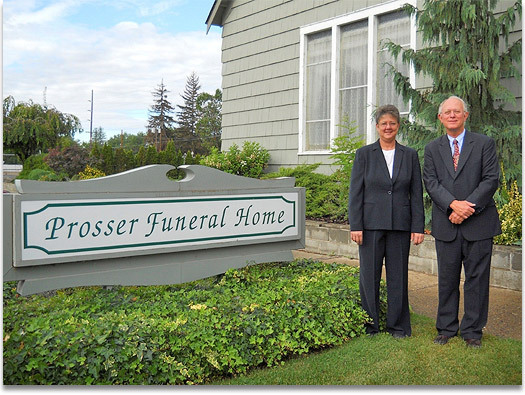 Carlen, Steve and the staff of Prosser Funeral Home believe each family deserves honesty, compassion, and personal attention. Whether you choose burial or cremation, we have expertise in all types of funeral services. We strive to make you as comfortable as possible during a difficult time. Make sure to read what makes us different than other funeral homes. Owners, Carlen J. Majnarich and Steve Bradley, P.A.C. Copyright ©2011 - Prosser Funeral Home, Inc.